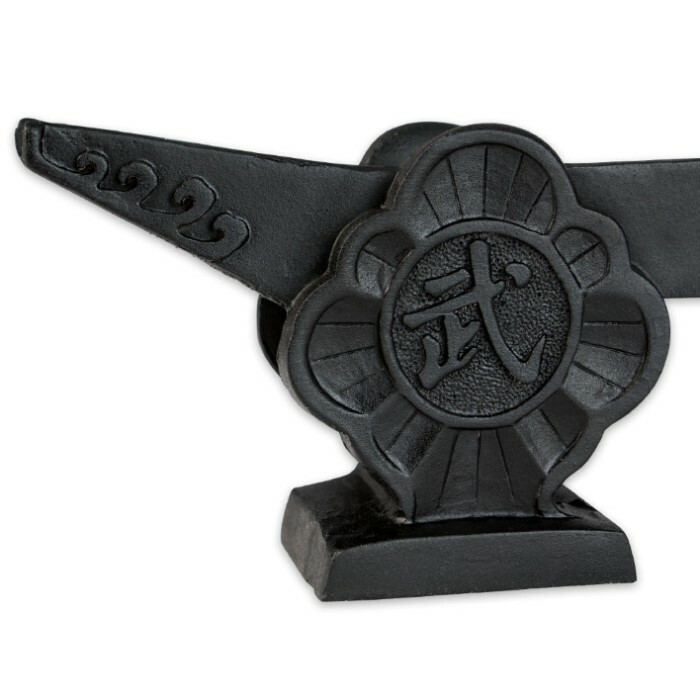 Japanese Sword Display Stand | BUDK.com - Knives & Swords At The Lowest Prices! 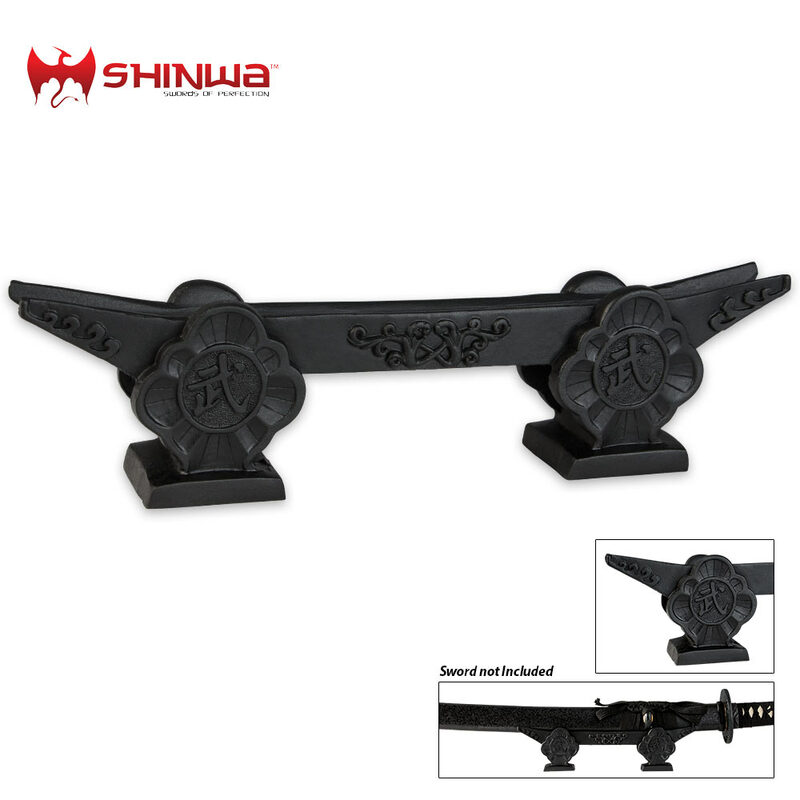 Display your favorite sword on this unique display stand. 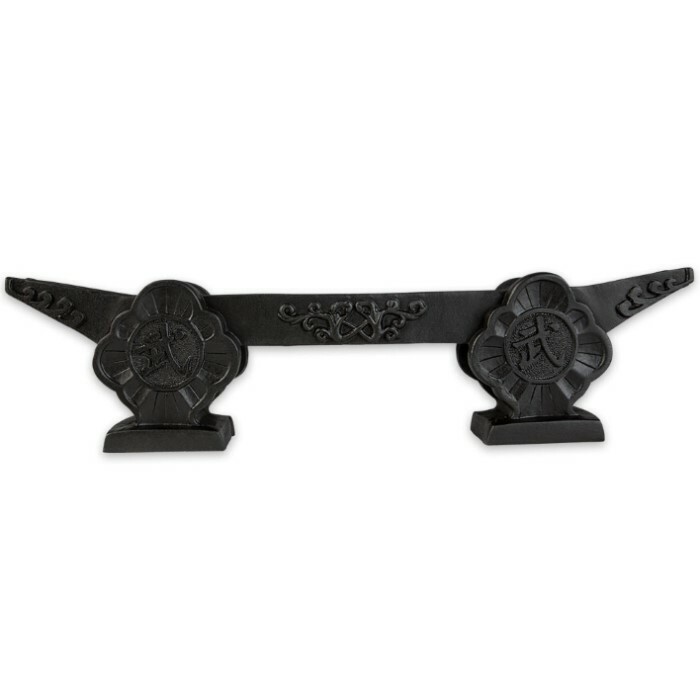 Constructed of solid cast resin with decorative writing and markings, this stand is the prefect stand for your katana. Well worth the minimal cost and its low center of gravity makes it ideal as a stable dispaly for a Katana. so iust got it and i love it, it fits my katana perfectly tho it was smaller than i expected also the paintjob on the bottom is not very well done it was awardly painted and over painted but other than that i love it. nice stand holds my straight edge ninja blade beautifully. Great detail. I just wish they would get more in stock already. Its an okay stand a bit too small and too light because the sword tends to lean the stand to one side. when I received this I thought it was going to be stone or some heavy weight material but what I did in fact get was a somewhat light weight plastic. very good sword stand. the detail really add to the look of my sword.